You may recall from a previous post I talked about the "down under" tax that Harvey Norman had applied to the Samsung Series 9 laptops, well today Lenovo has had to defend its aussie pricing of its new X1 laptop. As I mentioned in last weeks game Wordament, the keys to a successful portable game are firstly, the game need to be easy to learn but takes a while to master and secondly, you can play for as little as a couple of minutes or a couple of hours. Flight Control is one of those games that will keep you playing all day and not want to put it down. The game is quite simple, aircraft enter from the edges of the screen and its your job to direct them to their runway to land. The only real rules are that different aircraft types have specific runways that they need to land on, and don’t let them crash. Simple enough hey, but as I said earlier, it will keep you coming back for more as you try to squeeze dozens of aircraft on the screen at the same time and keep them from crashing into each other. Flight Control was originally developed for the iPod touch by Australian game maker Firemint and has remained in the top all time games for several years now. Flight Control is one of those success stories which has racked up over 4 million downloads and has since been ported to the iPad, Android, Windows Phone 7, Nintendo DS, Playstation and also the PC and Mac. Recently Firemint was acquired by EA Games which will hopefully mean some more capital investment to allow them to keep coming out with more great apps like this. Yesterday I advised that the NoDo update had been released by Telstra, unfortunately the update process didn’t go so smoothly. At the second last step it was supposed to do a reboot, but unfortunately the phone vibrated 7 times then hung on the boot screen. I left the phone and Zune update process for a considerable amount of time, but it was obvious the upgrade had failed. Attempts to reboot the phone by switching it off and on all simply returned to the same state. Further attempts to get it working including a factory reset also failed. Unfortunately the process of performing a factory reset effectively wipes everything off the phone and takes you back to the raw ROM, but seeing as the ROM is in a partial state – this is not possible. After much research on the web trying to find a solution I came across the following blog: http://barrymoves.blogspot.com/2011/05/did-you-use-chevronwp7updater-on-your.html which provides instructions for downloading and reloading the original Telstra ROM. So thankfully I now have a nice clean phone at its original state when I first bought it, all I need to do now is re-install all the apps and reconfigure all the settings again. An alternative option that I think is going to become more and more popular given the huge mark up is to purchase the goods from overseas and ship them out, however most places such as Amazon won’t ship electrical goods to an international address. To get around this you can use a service such as My US Address (www.myus.com/Australia) which effectively allows you to register an address with Amazon for your goods to be delivered to within the US and they will then forward the goods to you in Australia. Now even taking into consideration freight of about $100 and GST, you are still going to be around $700 – $800 better off. A couple of things you will need to think is firstly power supply. Fortunately with laptops all the manufacturers are creating standard power bricks which you can replace the connection to the power point with a localised power cord. The second is warranty. Samsung is offering an international warranty on the laptop, so if you need to make a claim you would need to post it to their customer site in Sydney to have it taken care of, but otherwise you are covered. 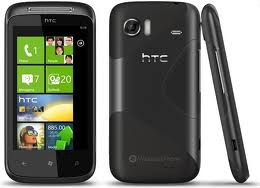 I was stoked last year when Microsoft decided to launch the new Windows Phone 7 devices in Australia and New Zealand. Now I know this is mostly due to it being a softer market to launch into where they can iron out any last minute show stoppers before the big launches into markets such as the US and Europe, but it was still very exciting to be one of the first in the world to be on the new platform. During a press conference prior to the launch that Microsoft and Telstra hosted, one of the questions from the media asked about how software updates were going to be handled and the answer was that everyone would receive the updates at the same time, regardless of the carrier they were on which brought much joy to the wider audience. Fast forward 4 months when Microsoft started to release the first software updates in February (firstly a prep update known as pre-NoDo which was simply a patch to ensure the actual update went smoothly, then the real update – NoDo) and what do we find – the updates though they are coming from Microsoft via the Zune software, looks up your phone to see which carrier and does a verification to check if they have allowed the update. Now at the time of writing (almost 3 months after the updates were released), all of the carriers in the world except two have release the update – Telefonica in Spain and Telstra in Australia (http://www.microsoft.com/windowsphone/en-us/features/update-schedule-world.aspx ), yet the frustrating thing is that Telstra were the launch partner! The big question on everyone’s mind is simply why? What could they possibly be still testing? If they find any bugs, its unlikely that Microsoft will stop the release seeing as all providers in the world except these two have released it. You would think this was a big enough testing bed to find any issues, plus any issues they did find, unless they were major bugs, would most likely be going into the next release (Mango). 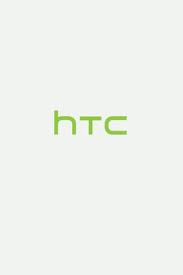 Its also very unlikely that there are compatibility issues between NoDo and the Telstra network, seeing as they already released the HTC HD7 pre-installed with the update over a month ago. So this bring me back to the initial question, why are they holding up the release, and the only conclusion I can come to is simply because they can. In a market where class actions are taking place against their competitors, it puts them in a position that those on the network are unlikely to up and change carriers (not mentioning the fact that I am locked into a 2 year contract) – even though the other carriers here in Australia have already released the NoDo update. So. the biggest thing that I find most annoying is the fact that we were led to believe at launch that we would not be left in this situation where the carriers hold us to ransom, for what gain I really don’t know. Update: Telstra has released the update as of this morning. The update includes NoDo as well as the SSL critical update.